When you’re in the market and looking for the cheapest used cars to own, where do you start? One of the best ways to calculate the cheapest used cars to own is to utilize a tool from Edmunds, the True Cost to Own pricing system. TCO, as it is called, is easy to use. Simply select the make, model, year and style and the pricing system will show you the summary and details on a five-year cost to own. These details will include depreciation, financing and maintenance costs. You’ll have to factor in costs for fuel, insurance and repairs, and any costs for taxes and fees. Still, it’s a quick way to get an overview of the particular used car you’re looking to buy. In the meantime, we’ve gathered a few examples of some of the cheapest used cars to own, based on cost of ownership data available through several sources. 2010 Toyota Yaris – In the Sedan Under $15,000 category, Edmunds editors selected the Toyota Yaris. While it has dependability and a wide variety of body styles, and a used Edmunds True Market Value from $11,019, the 2010 Toyota Yaris may not be right for every buyer. Looking at the five-year estimated TCO of $33,124 for the base four-door hatchback with five-speed manual transmission, may be more appealing when considering the cheapest used cars to own. $33,637 for the base four-door hatchback with five-speed manual transmission. Nimble handling, roomy cabin, good fuel economy and storage space are other reasons to consider the 2010 Honda Fit. 2010 Mercury Milan – In the Sedan $25,000 to $35,000 category, the editors chose the Mercury Milan, sporting a modest refresh for the 2010 model year. Edmunds lists a used TMV from $21,860 and a five-year estimated TCO of $45,127 for the base sedan with four-cylinder engine and six-speed manual. 2010 Lexus IS 250 – Editors chose the 2010 Lexus IS 250 for the category of Sedan $35,000 to $45,000. Edmunds editors find the Lexus IS 250 a well-built entry-level luxury sedan and list a used TMV of $25,029, while estimated five-year TCO comes in at $54,185. 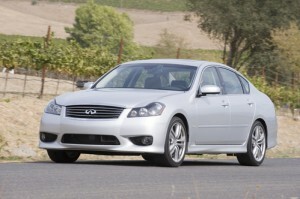 2010 Infiniti M35 – For the Sedan over $45,000 category, the winner was the 2010 Infiniti M35. Buyers looking for the cheapest used cars to own in a luxury sports sedan may wish to consider the 2010 Infiniti M35, with an Edmunds TMV from $28,365 and an estimated five-year TCO of $60,544. Interestingly, in an article from Forbes (published in Road & Travel magazine) and covering 2008 vehicles, the 2008 Honda Fit and Toyota Yaris were mentioned as being among the least expensive vehicles to own. 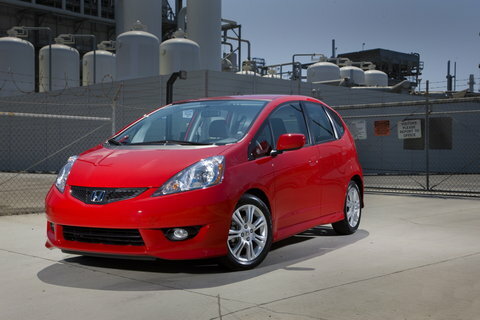 The Honda Fit had a low 58 percent depreciation rate over five years, while the Toyota Yaris carried a five-year cost of ownership at $30,820. Keep in mind that the cheapest vehicle doesn’t necessarily translate to the lowest cost to own. It’s also important to select a used vehicle with a strong resale value, which will help when you want to trade it in or sell it.